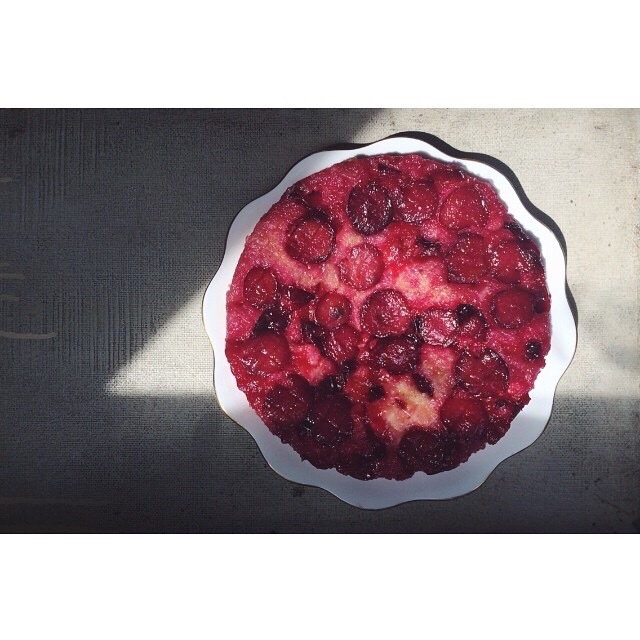 One of last year’s plum cakes. Last summer I was fortunate enough to have a serious produce hook up and thus got to try an absurd amount of different plum varieties. The unassuming plum; not quite so seductive as a peach and certainly not as charismatic as the American Cherry. Plums are fragile, ranging from moody Damson indigo to sunny sugar plum gold. Fortunately, after my many experiments, I can guarantee that they all work well for this upside-down cake application; simply adjust the sugar volume in your caramel to suit the tartness of your plum and your palate. 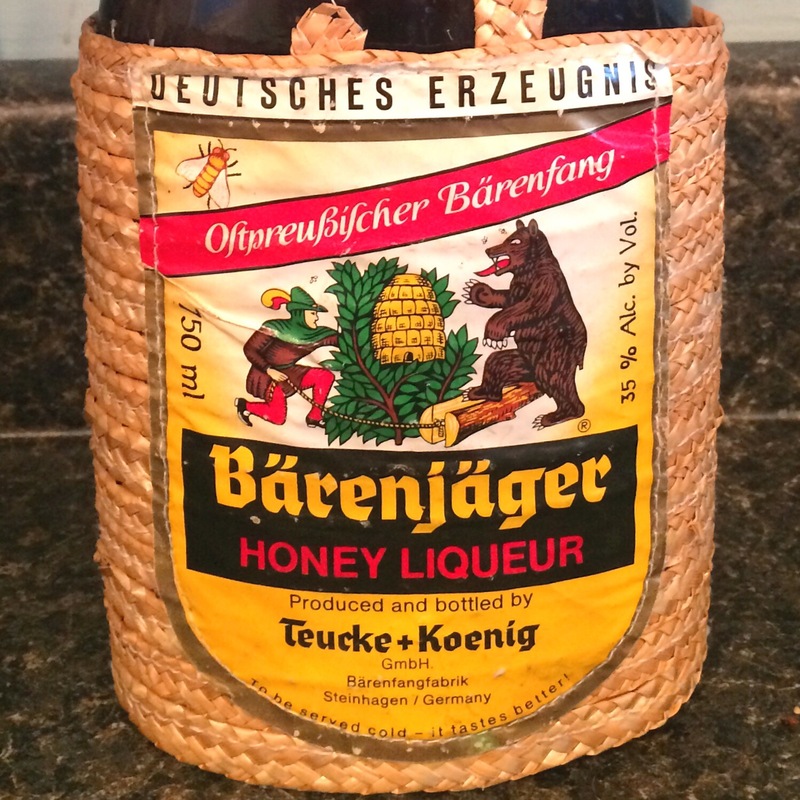 Also to note: I used a German honey liqueur called Bärenjäger here (solely because we had no bourbon in house, plus it had a bear on the label) but dark rum or whiskey works as well. You can also go booze-free and up the vanilla. Note the badassery of this label. 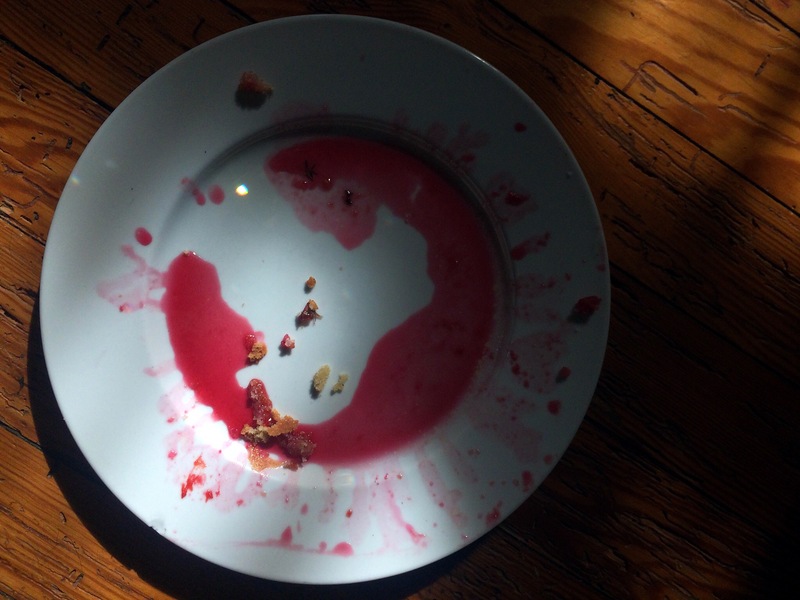 I love a good empty plate shot. To make syrup; combine sugar, honey, Bärenjäger, butter, salt, and thyme in a saucepan over medium heat. Heat until sugar dissolves, stirring often. Pour syrup into bottom of pan and add plums, cut side down. Beat butter and sugar until fluffy. Scrape down sides of bowl, add the first egg, and beat on high for 30 seconds. Repeat with second egg. Scrape again and add vanilla and Bärenjäger, beating for an additional 30 seconds. Meanwhile, sift the dry ingredients together. Add half the dry ingredients to the batter and beat until combined, repeat with remaining half. Pour batter over plums. You may need to smooth the batter over and tap the pan a few times to dislodge air bubbles. Bake for 40 minutes or until a toothpick inserted into the center of the cake comes out with just a few moist crumbs. Let cool in pan until room temperature and then invert onto a plate and serve. Will keep well covered loosely at room temperature for a day, but should be moved into refrigeration after that for up to a week. I like it with a dollop of créme fraîche on top, but I like everything with a dollop of créme fraîche on top so what do I know.